Bang Bang Pie Shop is hosting an apple pie contest Sunday, Oct. 27 on the side-yard of its location at 2051 North California. The contest, open to both pros and amateurs, costs $5 to enter and benefits Logan Square’s Chicago Rarities Orchards Project. The event is free to attend. 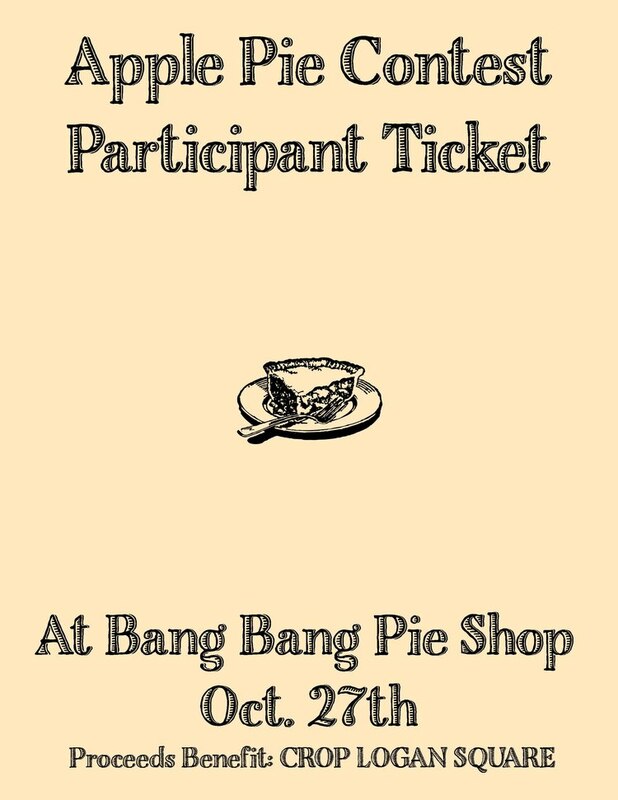 Bang Bang Pie Shop will be selling $5 food tickets for audience members to taste and vote. 1. Only Apples are to be used in the pie. It may be in a pastry crust but any crumble or other topping is allowed. No other fruits are to be used. 2. We need two apple pies per entrant. One Pie will be judged by the critics and the other by the audience. 3. All Pie Bakers are required to stay for duration of the judging. Submissions will be taken from 2-3 and judging will take place from 3-5:30pm. If you wanna bake, sign up here.